Yesterday we told you about the media event announcement between Rogers and CIBC, and today we find out what it’s all about. Both companies have announced this morning the launch of a joint mobile payment solution. 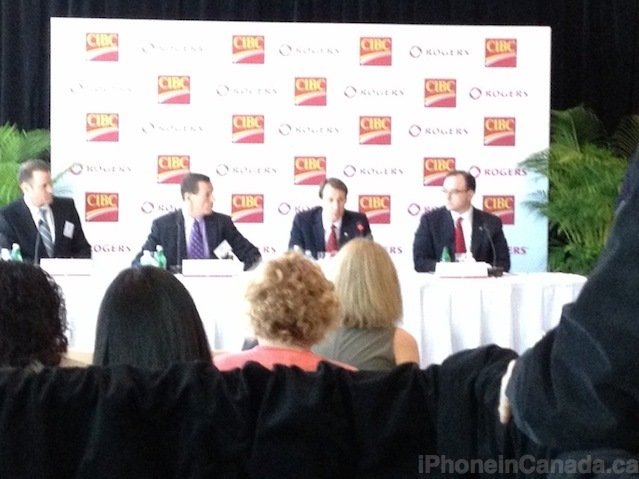 Customers will soon be able to pay with their CIBC credit card wirelessly via a Rogers Near Field Communications (NFC) enabled smartphone, later this year. 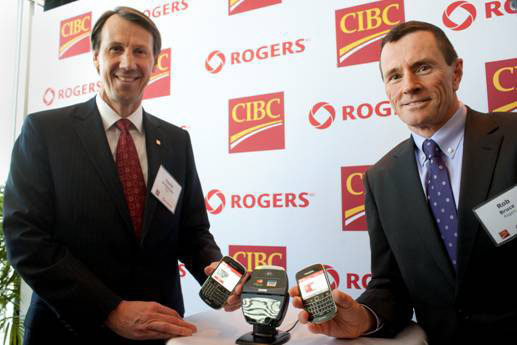 The SIM card within the NFC-enabled Rogers smartphone will be utilized to securely store information, the first time a bank and wireless carrier have joined together to offer a commercially available mobile payments solution. The guidelines we learned about yesterday set out by the Canadian Bankers Association will be followed along with standard GSM Association standards. Full access to a client’s existing CIBC credit cards on their smartphone at no extra cost – whether Visa or MasterCard – this gives clients the opportunity to earn loyalty points on purchases as they do today. Multiple layers of security – Paying with your NFC-enabled smartphone will be as secure as using your credit card today. Clients will receive the same fraud protection they do with their contactless credit card, and secure encryption technology will add to the layers of security already in place on credit card purchases. Clients will also have the option to set additional password protection. No “stickers” on your phone – this new payment capability will leverage the secure SIM card inside a mobile device for payments, meaning clients can manage their credit card credentials on a secure platform, and won’t need to worry about stickers attached to their phone. 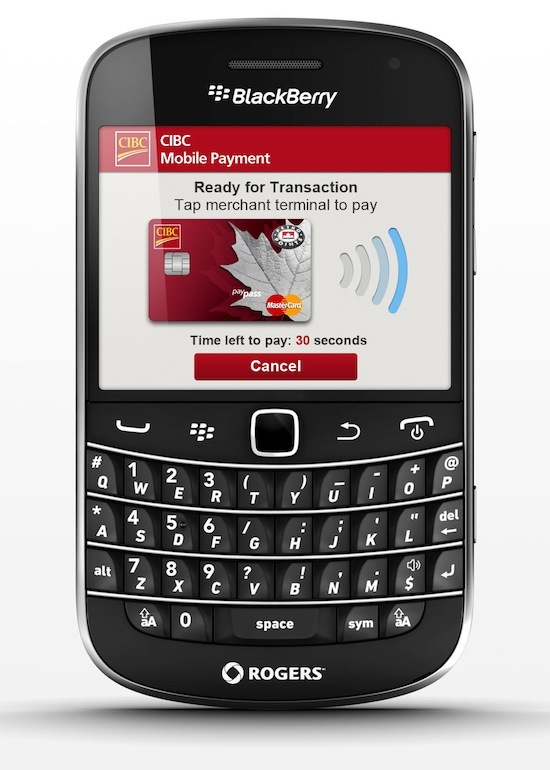 This new CIBC mobile payments system will launch later this year on select BlackBerry models, with other phones to launch later on. 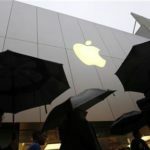 There is no word whether a future iPhone will be included, unless NFC capabilities come to the next generation device, rumoured again for a Fall launch. Our correspondent @mikeychu attended this morning’s media event, we will include more information to follow (thanks @robinprice for the heads up on the PR). This story is developing…refresh for updates.